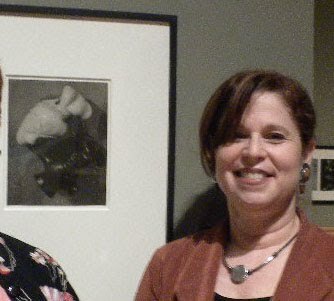 UMP | University of Minnesota Press Blog: Q&A with curator Wendy Grossman: On the popularity of Man Ray, his unique approach to African art, and his lasting influence on modernist art. Q&A with curator Wendy Grossman: On the popularity of Man Ray, his unique approach to African art, and his lasting influence on modernist art. Today we present a Q&A with curator Wendy Grossman, compiler of Man Ray, African Art, and the Modernist Lens, an illustrated volume that uncovers a virtually unknown chapter in the inventive activities of Man Ray and raises thought-provoking questions about the role photographs played in shaping perceptions of African art. The publication accompanies the traveling Man Ray exhibition (the next one begins in August at the University of Virginia). Check out the video above for an introduction to Man Ray and African art from The Phillips Art Collection -- an interview with contemporary artist Greg Metcalf, whose own work reflects the influence of African art on modern at the heart of this project. Why is Man Ray so popular right now? Salvador Dalí and Man Ray, Paris, 1934. 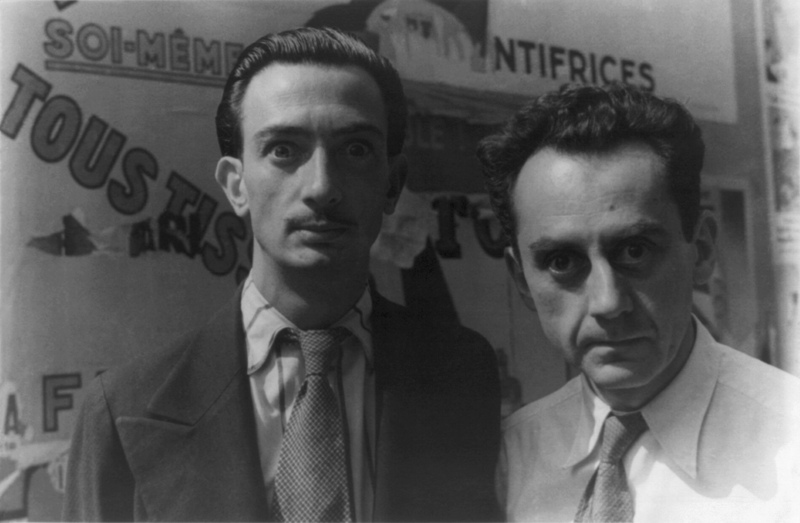 Man Ray's popularity is relative to one's perspective. While it has peaked and ebbed at different time periods in the U.S.related to numerous factors in the art world, the high esteem in which the artist is held in France has never wavered. I suspect that the recent round of exhibitions and new scholarship on the artist reflect an increased interest in the use of photography as a conceptual tool and the increasing recognition of the pioneering role Man Ray played in using the medium in such ways. He was one of the most influential photographers of the twentieth century and continues to inspire artists today. What draws you to Man Ray? I grew up with photography. My mother was an amateur photographer and we had a darkroom in our house. In my first career as a graphic artist, I found myself increasingly drawn to the medium, taking courses in various aspects of photography, including photo retouching. It was my studies in photography that led me to pursue a degree in art history. Thus photography has always been at the heart of my academic pursuits, both on a practical and academic level. At the same time, the role of photography in the development of modernism became a central interest, as did the intersection of modernism with the embrace of non-Western art by the avant-garde. My interest was piqued by reading in most conventional narratives of modernist primitivism, as this historical intersection has been codified, that Man Ray´s Noire et Blanche was unique in his body of work and that he otherwise had no interest in African or other so-called ¨primitive¨ art. However, in the course of my research (as I discuss in the intro to the catalogue), I started to uncover a curious body of photographs that contradicted that widely held assumption. And so what became a 15-year journey was launched, leading first to my dissertation and subsequently to the exhibition project. Aesthetically, what were the key components that Man Ray brought to African art forms that influenced viewers' perspectives on African art? Man Ray approached African art much as he did the many found objects that came across his path: with a proclivity to animate inanimate objects with his irrepressible sense of play. His disregard for ¨documentary truth¨ is reflected in the manner in which he used light, shadow, and camera angle to thwart the viewer´s sense of perspective and scale. All these aspects worked to challenge the viewer to look at the objects in new ways and rather than looking THROUGH photographs, as is the conventional way of approaching the medium, to look AT the images. In contrast to the way in which Walker Evans’s photographs of African objects have been presented as “true documents” (despite the fact that they are as mediated and aestheticized as Man Ray´s photos), Man Ray sought to breathe new life into them. In so doing, he unwittingly came closer to the ritualistic manner in which many of these objects originally functioned. Moreover, the reciprocal relationship between object and image in his work and that of his American and European contemporaries worked to elevate both the African objects and the photographic medium, conferring a modernist status on both. This broke with previous photographic conventions in which such objects were rendered as either ethnographic curiosities or timeless, anonymous masks and figures with no attention paid to their aesthetic qualities. One of the best examples of Man Ray´s unique approach is the untitled photo in chapter three of the two floating objects, one white (the Pende ivory pendent) and one black (the Chokwe whistle, pictured above), which Man Ray juxtaposed to create a composition evoking chess symbolism with the interplay of two pawn-like forms. That said, many of Man Ray´s images functioned in contradictory ways. Noire et Blanche, for example, both reflected and challenged contemporary ideas that saw non-Western art as exotic objects upon which to project western sexualized and racial fantasies. This is also the case with other images in which female models -- both white and of color -- are juxtaposed with African and Oceanic objects. However, Man Ray took this formula a step further, turning it on its head with the reversal of Noire et Blanche in which the white face of Kiki turns into a black form and the black African mask is transformed into a mesmerizing white visage. In both cases, the inanimate mask is more animated than is the human form. All of these components reflect the way in which Man Ray sought to challenge boundaries in every aspect of his creative endeavors. Indeed, nothing is as simple as it seems; that is, nothing is ever simply black and white. Read on about how the exhibit's interdisciplinary nature became a problem for museums; how Alfred Stieglitz fits into the exhibition; and how the public has historically perceived African art. We also wanted to share this photo of Sylvie Bello, executive director of the Cameroon American Council, who fell in love with the Man Ray exhibition and is seen here promoting the publication to a group of professionals at a Cameroonian workshop at Johns Hopkins University. Find out more about Man Ray, African Art, and the Modernist Lens. I am trying to cite this in an essay but you've neglected to put who the interviewer was?